Only just stumbled across this and have duly purchased. Many thanks for the heads up, although I don't think my bank account is too thrilled this is the third WWI aviation title I have bought this month! 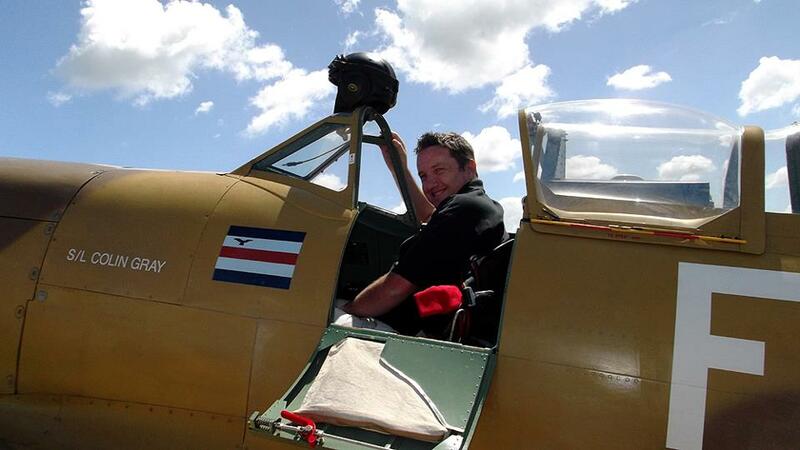 ON SEA AND IN THE AIR SENSATIONAL EXPERIENCES OF A WANGANUI LAD. SAVED BY MARVELOUS BRITISH MEDICAL SKILL. One of the last New Zealanders to return from service abroad is Flight-Lieutenant S. B. Inman, son of Mrs H Inman, of Wanganui, who arrived by the Arawa a fortnight ago, after experiencing some thrilling adventures on land and sea, for the last of which he has been under treatment in an English hospital for two years. The young officer served his apprenticeship with Messrs Allen Bros., the well-known local firm of engineers, and left Wanganui for England in 1915 to join up with the British Mercantile Marine. He was transferred to the Navy, in which he saw service for twelve months (1916-17), afterwards joining the Royal Naval Air Service, with which organisation he was connected when he met with a thrilling and dreadful accident, which incapacitated him for so long a period. While in the Navy Flight-Lieutenant Inman served on H.M.S. Ponus (a torpedo oiler) and later on H.M.S. Princetown, an auxiliary cruiser of 11,000 tons, formerly the German vessel Prinz Albert, of the Hamburg-American Line, which took shelter in Falmouth (England) in 1914, and was subsequently claimed by the British Crown. It was while on the Ponus that the lad had his FIRST SENSATIONAL EXPERIENCE, the vessel being burned off the coast of Falmouth in 1916, after running on a reef during a terrific gale. The whole of the officers and crew managed to get ashore in lifeboats, though clad only in their pyjamas. The ill-fated vessel, which was laden with 11,000 tons of oil for the Admiralty, burned for four days and four nights, the vivid and remarkable scene being witnessed by many thousands. From the Princetown the young naval recruit was transferred to H.M.S. Wabasha, a vessel of 11,000 tons, and he had not been very long on her when he experienced his SECOND SENSATIONAL ADVENTURE. While being escorted from the Scilly Islands to Devonport by H.M.S. Antrim (a fine 24,000-ton cruiser of the county class), the Wabasha was torpedoed amidships by a German submarine, which, the Antrim subsequently captured or destroyed. Fortunately the Wabasha was not sunk, though great holes were torn in her bottom and sides by the terrific force of the explosion. With several feet of water in the engine-room, a heavy list, and all available pumps working, the vessel was skilfully navigated to Devonport, after eight hours' strenuous and anxious work, and put on the floating dry dock for repairs. When the torpedo struck the Wabasha two deck officers were blown through the decks, and a gunner and a gun-layer were also killed and a number injured. 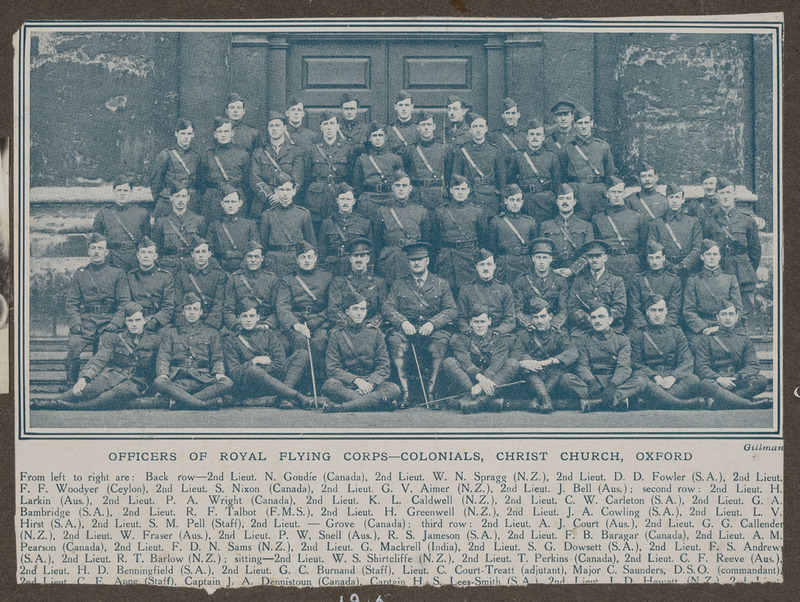 In May of 1917 our young hero looked for adventure elsewhere, and joined the Royal Naval Air Service, qualifying for his pilot's certificate at Greenwich College, London. His first work in the air was PATROLLING THE CHANNEL off the Yorkshire coast, escorting food ships, and engaged in the interesting pastime of strafing German submarines there, subsequently going to Calshot, on Southampton water. On one occasion the young pilot took part in an engagement with a squad of German Fokkers, which had crossed the Channel and were making their way over Kent when intercepted by the Manston patrol, which brought one of them to earth, others falling to aircraft guns ere they were able to escape. It was while at Manston that Flight-Lieutenant Inman met with a most THRILLING AND DREADFUL ACCIDENT. He had been in the Air Service for about twelve months and was testing a light bombing aeroplane (DH9), when at a height of 500 feet engine trouble developed and the machine was enveloped in flames. The situation was desperate, and with the flames surging all around him he maintained his hold of the wheel and side-slipped the burning machine to mother earth, effecting what, under the circumstances, was a remarkable landing on the aerodrome at the edge of the cliffs. His clothes, which included a naval uniform and flying overalls, were nearly all burned off his body, as was also his flying helmet, and in dreadful suffering and torture he rolled in the grass to subdue the flames, which had burned deeply into his face, arms, legs, and body, leaving great ugly wounds. Assistance was immediately forthcoming, and in a condition more dead than alive (though he retained full consciousness until placed in an ambulance) he was taken to the Queen’s Hospital, where all that British medical skill and science could command was placed at his disposal. For some considerable period Iris life was despaired of, the great suffering ho had to endure, combined with the shock to the system, causing the gravest anxiety. Patient and skilful nursing and medical skill triumphed in the end, and on the 2nd May, 1920 — exactly two years to the day after he entered the institution — he was discharged. During that period he underwent no less than 18 OPERATIONS, his sufferings in connection with which can but faintly be realised, certainly not described. Skin-grafting was amongst the most delicate of the numerous operations performed, Britain’s most skilled facial experts being engaged. Present and past pupils and teachers of the Wanganui Collegiate School will be more than interested to hear that foremost amongst these was Major H. Gillies (an old boy of the College), who completed his studies in England, and has recently visited America to demonstrate the marvellous strides which have been made in England in the science of skin-grafting, cartilage, and facial work. The injured officer was also attended by Major Russell (an Australian doctor) and Captain Ruamsey (a Cambridge student), all R.A.M.C. facial experts. They performed wonders for their patient, whom they provided, amongst other marvellous feats, with a new nose and eyebrow. Though grievously scarred by the dreadful burns, Flight-Lieutenant Inman is a striking testimony to the MARVELS OP BRITISH MEDICAL SCIENCE, which he descants on most enthusiastically. He speaks of the most wonderful operations which came under his own personal observation while in hospital. He has seen a soldier, who had his chin blown clean away, fitted with a new jaw. I find the above article fascinating, I never realised Fokkers ventured over to Kent (I am assuming they were fighters? ), and it's really interesting to hear he was based at Manston, the famous Battle of Britain station. Plus the story of his burns being treated and the New Zealander involved is also really reminiscent of the Battle of Britain/WWII story of Archibald McIndoe.